The Catholic Mass got its name from the last element of the Mass, the Sending. In Latin it’s "Ite misa est" often translated "Go, you are dismissed". It can be translated “Go, you are sent” but the word “misa”, the root word of our word "mission", implies a more apt translation: “Go you are missioned.” The entire Mass works toward this "missioning" of the Body of Christ, the Church.2 It works up to our amen at communion time and then flows out into our being Eucharist in the mission fields of our day-to-day lives. The Mass may begin with an Opening Song which helps us gather and begins the process of our moving toward communion.6 The ministers enter in procession as we all enter into this sacred space and time. Then there is the greeting which reminds us of the Lord’s promise to be with us whenever we gather in His name.8 The Presider says, "The Lord be with you" and the people respond, "And with your spirit." Either the Sprinkling Rite, which reminds us of the cleansing effect of our Baptism, or a Penitential Rite, in which we ask forgiveness for our sins, follows. Finally we say our Opening Prayer, the Collect, which is chosen for the day, allowing us tobring to mind our intentions for that Mass. It gathers our prayers into one and raises them up to God as one prayer from the gathered community. The first of two major movements in the Mass is the Liturgy of the Word. It comes from the Hebrew synagogue practice of reflecting on readings from the Law or the Prophets, singing sacred songs and praying together. The Catholic Church, as do many liturgical10 churches, uses a Lectionary. For Sunday celebrations the Lectionary contains a three year cycle of readings from Hebrew Scriptures, the non-Gospel Christian writings and the Gospels. The daily Mass Lectionary contains a two year cycle of readings providing a non-Gospel and Gospel reading for weekdays. The Liturgy of the Word also contains a Responsorial Psalm, from the Book of Psalms, which is either sung or spoken, and a homily, which is designed to help us connect the Word of God with the lived experience of the Lord’s presence in our day-to-day lives. On Sundays and Holy Days we show our oneness by praying the Creed together. The Liturgy of the Word closes with the General Intercessions, our communal prayers for the Church, the World and those in need. 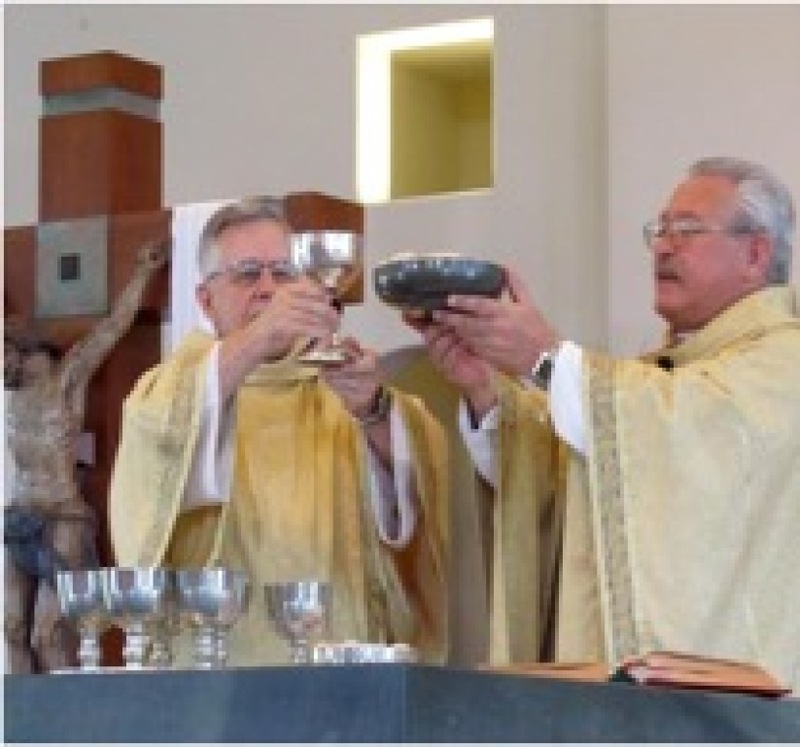 The bread and wine, which will become the sacramental presence of Our Lord, and the monetary collection, if there is one, are brought up from the people as a sign that we are giving back to God from the gifts we have received in our day-to-day lives. In ancient times people brought the gifts for the sacrifice from their homes. The monetary offering is used for the needs of the community and for carrying out the mission for which Christ established the Church. The elements of the offering are placed on the altar by the Presider using a blessing prayer in the style of the Jewish Berakah11. The priest prays the Eucharistic Prayer aloud but it is the action of the whole community. Our theology is that the people offer the Divine Victim through him and with him.13 The Preface of the Eucharistic Prayer is closed with the community praying the “Lamb of God”. The words of our Lord at the Last Supper are followed by an acclamation stating, with St. Paul, that as long as we do these things we proclaim the death of the Lord until he comes.14 And, finally, the people affirm the Eucharistic Prayer and make it their own with the Great Amen. Our altar call is the words, "Behold the Lamb of God. Behold him who takes away the sins of the world. Blessed are we who are called to the Supper of the Lamb." It begins our Communion Procession. We leave behind, in our pews, all that separates us from right relationship with God and from right relationship with each other. We go forward, in procession, to meet the Lord face-to-face and say Amen when the Eucharistic minister announces "The Body of Christ" or "The Blood of Christ." We are saying yes (amen) to being part of the Body of Christ because, as our Church teaches, it is in receiving that we are enrolled.16 We process back and refill our pews as the Church, the Body of Christ, is being built in order that it may be sent out on mission at the dismissal. After a brief period of reflection on the gift of the Lord's presence, we bring the Communion Rite to a close with prayer. The concluding rites include a period for community announcements. The greeting, "The Lord be with you", is said again wishing that The Lord, who was present at this Eucharist, will remain with us as we go. The Presider blesses the people and the Deacon17, or the Presider if there is no Deacon, dismisses them to go out and be the Body of Christ in the world of their day-to-day lives. 1 This explanation is of the Latin (Roman) Rite of the Catholic Church. There are several other rites, notably in the San Diego area, the Chaldean, Syriac & Maronite rites, whose rituals may differ somewhat. 5 The Sunday Mass may also be celebrated on a Saturday evening. 6 This singing that begins our act of coming into communion is first described by the 5th Century author Pseudo-Dionysius in Ecclesiastical Hierarchy 3.3.5. 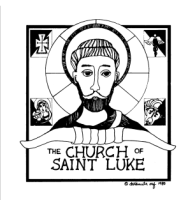 10 The meaning of the Latin liturgia is public works like bridge building. Building a bridge between earth and heaven is the job of the priest and priestly people. 11 A prayer of praise and thanksgiving starting “Blessed are you O Lord our God, King of the universe…”. 17 The presider is a priest. The Deacon proclaims the Gospel, assists at the altar & instructs the people.